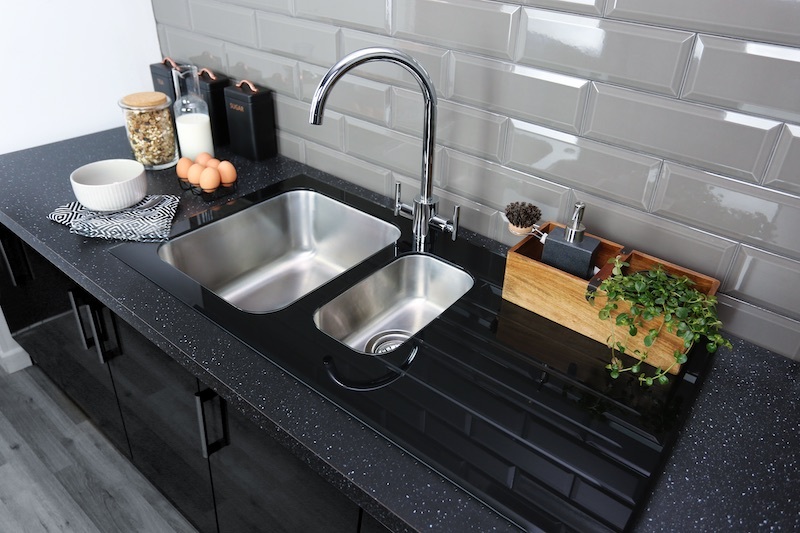 Bristan has announced the launch of its first ever range of kitchen sinks, specifically designed to make life easier for installers. The new range come with Bristan’s patented Easyfit base pre-installed along with pre-fitted flexi tails. 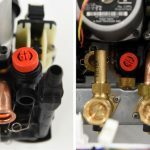 This means that an Easyfit tap body can be fixed to the sink with minimum fuss – all the installer needs to do is hook up the hose tails, push on the tap and tighten the grub screw. The range continues Bristan’s long-held reputation for products that are convenient for the installer, cutting installation time and simplifying the fitting process. Every aspect of the installation process has been carefully considered, with everything needed supplied with the sink; even down to the handy full-scale worktop template included with every product in the range. What’s more, there are no hidden extras or additional costs, with each sink including strainer waste, overflow, pipework and fixings. For complete peace of mind, the sinks are backed by a 25-year guarantee, along with a five-year guarantee on the accompanying Easyfit taps, and a three-year guarantee for the pipework. The sink collection includes four key designs – Glacier, Ingot, Quartz and Index & Inox – but offers 28 variations across eight ranges, covering glass, composite quartz and stainless-steel finishes. All sinks are available in 1.5 and 1.0 bowl variants and feature a modern satin finish* for a sleek look which hides unsightly water marks, providing a quality option for any interior style. When it comes to keeping customers happy, the sinks offer easy upgrades to homeowners, as the integral base means that the existing tap body can easily be unscrewed and replaced by another tap from Bristan’s extensive Easyfit range. And, as a further benefit, the two-piece construction process of creating the sinks offers a more complex design and allows a wider and deeper bowl for the convenience of the householder. Alongside the mix and match options of the 63 different Easyfit taps, Bristan will be offering four pre-defined sink and tap bundles for a hassle-free, design led kitchen solution. Lisa Ward, Senior Product Manager at Bristan, comments: “Our new range of sinks takes our popular Easyfit technology to the next level, offering installers a complete solution which saves time and ticks all the boxes for consumers, too. “The integral Easyfit base and pre-fitted flexi tails mean that installation is easier than ever, and when the time comes to upgrade the tap, this can be carried out in minutes. We received an extremely popular reaction to the sinks from the installers who visited our stand at Screwfix Live, many of whom commented that the design would save time and hassle when it comes to kitchen installs. *this applies to the bowl only on the Glacier range.